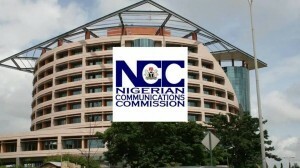 Amid the move to takeover of Etisalat by a consortium of banks, the Nigerian Communications Commission (NCC) has assured subscribers that the network’s integrity would not compromised. The statement said the commission had drawn the attention of the banks to provisions of the Nigerian Communications Act (NCA) 2003 Section 38: Sub-sections 1 and 2. “Sub-section 1 says: the grant of a license shall be personal to the licensee. “Sub-section 2 says: A licensee shall at all times comply by the terms and condition of the licence and the provision of this act and its subsidiary legislation,’’ it said. The director said that while the banks and Etisalat were working at resolving the issues, the commission assured that subscribers would continue to enjoy the services provided by the telecommunications company. In March, a consortium of 13 banks, both foreign and Nigerian, had wanted to take over the operations of Etisalat over a loan facility totalling 1.2 billion dollars, obtained in 2015. The banks said their attempt to recover the loan was due to the pressure from the Asset Management Company of Nigeria (AMCON), demanding immediate cut down on the rate of non-performing loans. The NCC and CBN waded into the matter to ensure an amicable resolution of the issue. However, after three months of fruitless deliberations, the consortium of banks is finally taking over the telecommunications company.